R.Melzack, Nobel Prize winner on the basis of his Gate Control Theory, has subsequently also developed the Pain Neuromatrix theory. In this theory he locates even more the mechanism that produces pain – so the fact of ‘feeling’ pain – within the brain itself. The Pain Neuromatrix is a distributed neuronal network (anatomically localized in a collection of brain centers) that is triggered by sensory input but which itself also independently generates pain. The latter is playing an important role, especially in chronic pain. ‘Pain’ in the strict sense, is just the beginning of a very complex happening. The pain sufferer’s suffering has, in addition to the ‘pain’, also to do with all it entails: feelings and thoughts about function-loss, despair, anger, personal feelings of guilt etc. The difference between the pain itself and what that entails is not evident. Pain is always a perception of pain. All kinds of ‘additional ‘ feelings are being felt as a part of pain. Even the patient’s resentment towards the pain and the fact that he/she pushes away the pain, may be an integral part of what he/she means by ‘pain’. The Pain Neuromatrix is playing a central role in all this. It is also a good model to explain to the patient where chronic pain is coming from. It helps to mention that this mechanism plays an important role in any kind of pain. That makes the chronic functional pain sufferer less like being a ‘weird case’. Is it all in the head? Of course it is. It is always in the head. What’s actually in the head, also gets a name and a visibility on a brain scan. It gets material reality, especially in combination with the idea of mind-body unity. If somebody can feel pain in an arm that isn’t there anymore, what about the pain when the arm is still there? Might the pain then also be ‘phantom limb pain’, with the source of the pain in the brain and not in the arm itself? 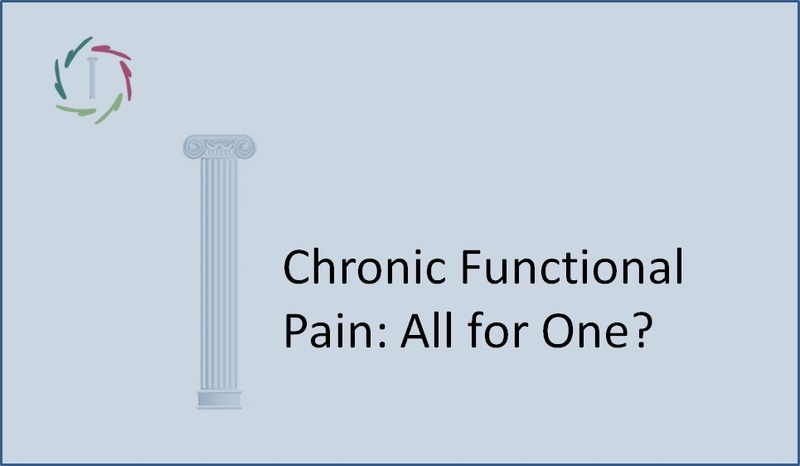 This puts chronic pain in the case of functional pain syndromes into a different perspective. This pain sticks in every aspect more closely to the mind than to the mere body. Note: time and again, it is important to remind the patient (and the surroundings) that this does not mean that he is guilty of his own pain. No guilt. But the responsibility, time and again, towards taking this into account. Thus, what shows itself as the felt ‘pain’, starts in the brain. Only modulators or triggers exist peripherally. Not so much the triggers are shouting ‘Pain!’ but the Pain Neuromatrix or the ‘little man of pain inside the brain’. This is also the case with fibromyalgia for example. This is important for both the patient and the rescuer. One can positively modulate the pain itself by changing all kinds of perceptions concerning the pain. 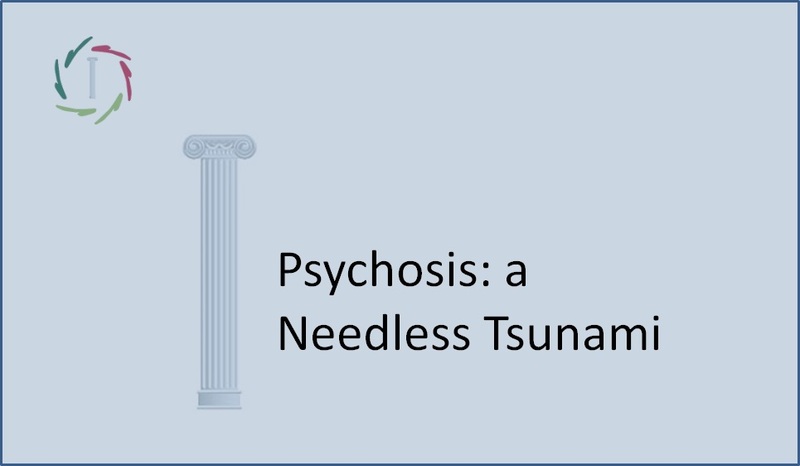 This is a two-way process: the change in pain itself also modulates these perceptions, leading to a self-perpetuating pattern towards feeling less pain. In the long term, this is a very important way to relieve the pain of a chronic pain sufferer. 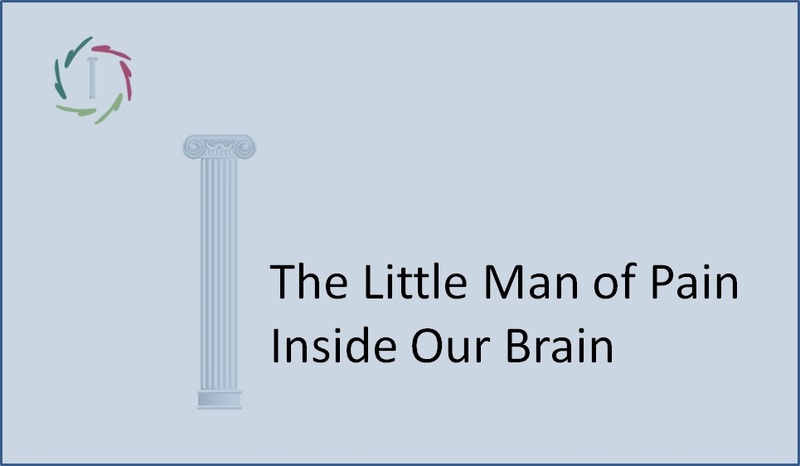 The little man of pain inside the brain is indeed something (or someone?) to listen to very carefully. He is not only shouting ‘Pain!’. He also shouts why, wherefore, what to do to let the pain be less pain, etc. Eventually he is shouting for attention. Even and especially in case of chronic pain. If you learn to listen in the appropriate way, he will spontaneously shout less loudly. All that remains to do, is learning what that ‘appropriate’ way means. 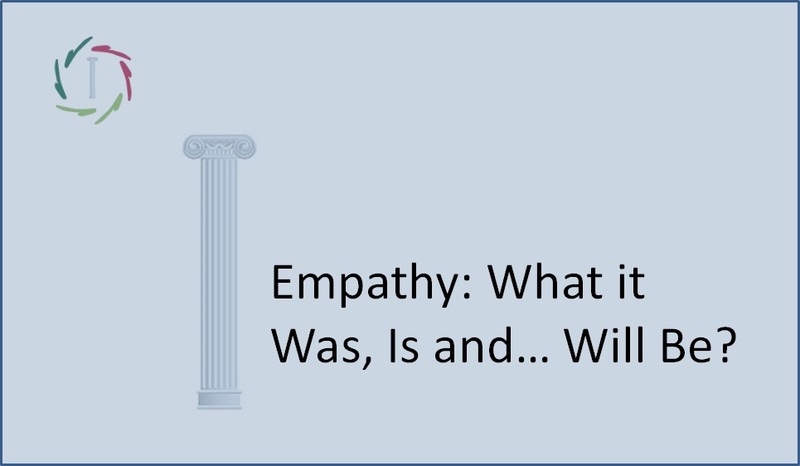 Empathy plays an important role, that is a fact. See the next column.